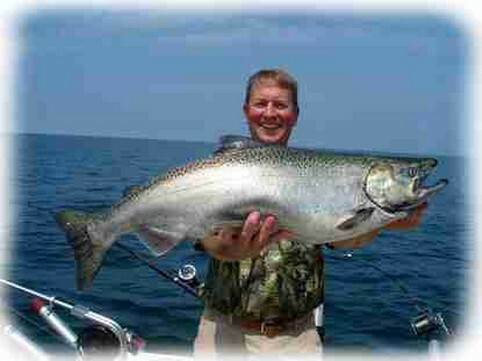 Lake Ontario charters for king salmon and trout. Fishing the western basin of New York's Lake Ontario, from the famous Niagara Bar to Point Breeze. Olcott, NY, is home to some of the most exciting of any deep freshwater sport fishing locations in all the great lakes. 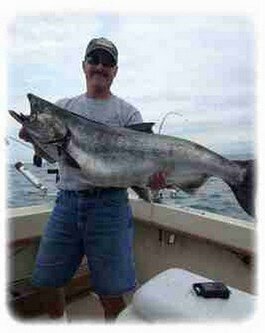 is the best fishing charter experience found anywhere! 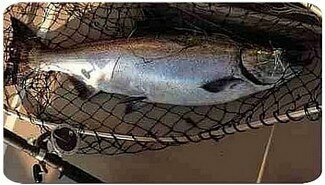 All fish filleting is done at no charge! Please have a cooler to bring your cleaned catch home. Extra ice can be purchased at the dock. 4 good reasons to fish Olcott!!!! 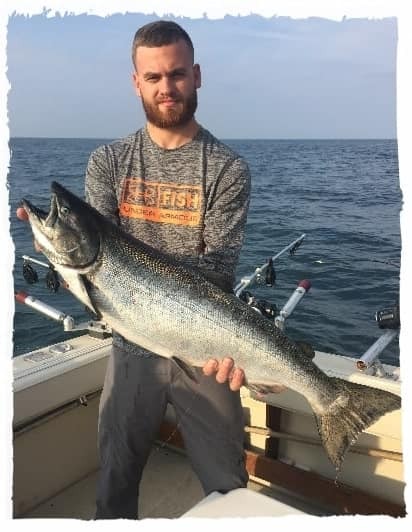 The BIGGEST Salmon of any of the other Great Lakes ports that has to offer! 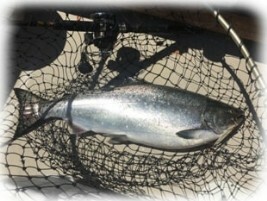 The action is unlimited, anglers have many different species that are available when taking a charter on Lake Ontario! 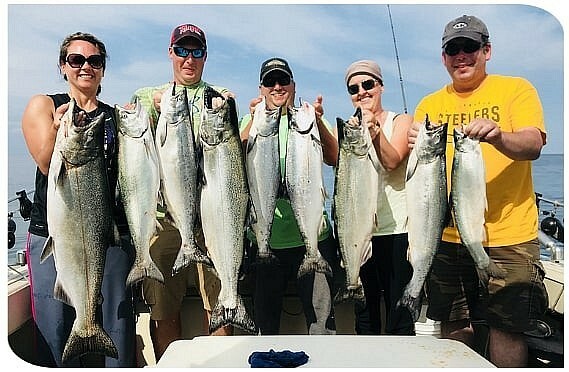 Some of the best Lake Ontario fishing can be found in July and August, when King's and Coho Salmon are going to be their largest and strongest! You'll can always find something biting that will wear you out!!! We recommend an early departure for more productive fishing. 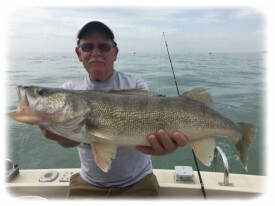 Our normal morning departure time is 6:00 a.m., while afternoon trips will leave at 2:45 p.m.
All that is needed to make a reservation is a $100.00 deposit for each fishing day on Lake Ontario. This will confirm your prime fishing date with Badman Charters.